This stunning, colorful arrangement appears fresh from a farmers' market! Perfect for a birthday, or any day! 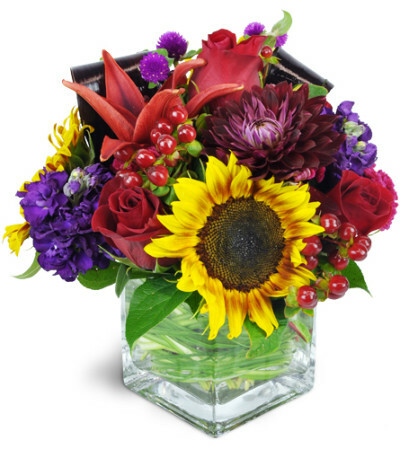 Red, purple, and yellow blooms will cheer up that special someone right away! 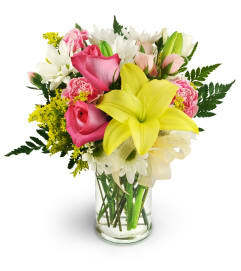 Containing sunflowers, roses, lilies, and more, this lovely arrangement is a sure winner. Very friendly and professional. Great location and beautiful designs. Delivery too!! Ordered several arrangements from here and they were GORGEOUS!! Staff was very nice and helpful! Thank you so much! This flower shop was kind and professional. I called in from Canada to have flowers delivered to family in homosassa springs, they didn't rush me off the phone, the flowers were delivered within an hour and the arrangement was BEAUTIFUL!!! I will surely use this business again and recommend you use them for all tour local needs! Thanks Rich Designs! 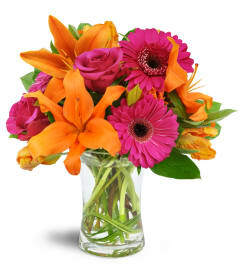 Rich Designs Florist is a Lovingly Florist in Homosassa. Buying local matters. Discover how Lovingly supports local florists. Copyrighted images herein are used with permission by Rich Designs Florist.